When we last reported on the bee keeping industry, the news was not very positive. 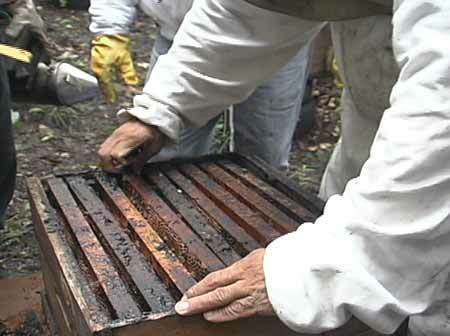 Honey production had fallen dramatically due to unfavorable weather conditions. In a follow up of the situation, today we learned that the weather continues to plague the small industry, but those most affected are bee keepers from the north. Extension Officer with specialty in Bee Keeping, Margarito Leiva, says the department is taking measures in rescuing the situation. Leiva says that without this intervention, bee keepers stand to lose an additional twenty-five percent of their already dwindled colonies. Last year, bee keepers in northern Belize lost up to fifty percent of their colonies and are still yet to recover from that loss. We will continue to monitor the situation of bee keepers in the north.